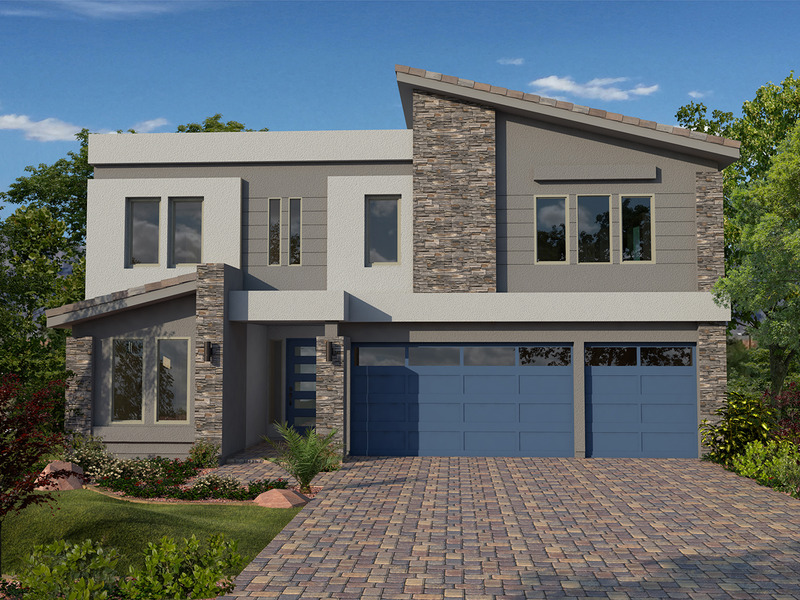 Rainbow Crossing Estates located in Coronado Ranch is bringing the best of both modern and classic designs to the southwest Las Vegas Valley. The 1, 2, and 3-story innovative home designs range from 2,215 to 4,910 square feet. Each interior offers the best in contemporary home design including wide open living spaces, sleek, efficient, state-of-the-art gourmet kitchens, large great rooms, dining rooms, game rooms, elegant and spacious master suites and spa-like bathrooms and so much more. The variety of exterior design choices allows each homebuyer to choose between either a contemporary exterior or a classical one. If you’re looking for a sleek, innovative and timeless home in the heart of Las Vegas, Rainbow Crossing Estates is the perfect fit.